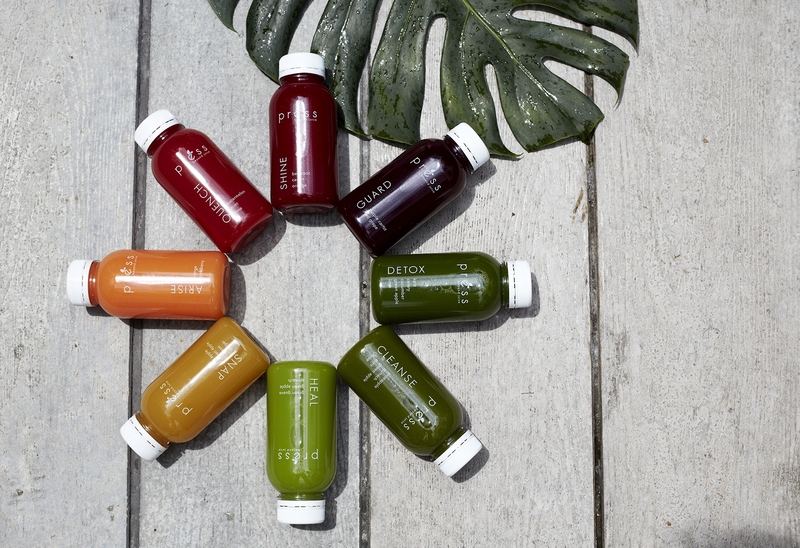 Cold-pressed juices could very well be the new Starbucks. They are often times the go-to beverage for those who are always on-the-go and just want to quench their thirst, with the former having the added advantage of being a healthier option. Most major shopping malls now would come complete with a cold pressed juice oulet and with their multi-coloured array of offerings, it is hard to turn down these shots of energy. It is a case of “you see it, you want it” with cold-pressed juices, as it is highly accessible in shopping malls for the most part. One downfall of this is that, these businesses would only gain their traction from mall-goers. While this is a great option for shoppers to have whilst they are going about their spree, cold pressed juiceries are missing the point of targeting nutrient-deprived individuals who could use with a bottle just as well—the hardworking office crowd. Office workers spend hours on end tucked neatly behind their desk and lunch fare for them would most likely be something quick and simple, regardless of whether it is a healthy offering or not. This is coupled with the fact that not all offices are close to a mall, and in order to purchase cold-pressed juices, one would have to travel the distance to one, hence it being an inconvenient option. The startup is the brainchild of husband-and-wife team Terence and Yen, who founded their business upon sheer necessity. They are both lovers of vegetables and fruits and are the kind of people at the party who would need to have a side of greens with their meal. They’re not fresh food fanatics by any means but are often on the pursuit to eat better. That was why when the sandwich bar at her workplace closed down in late 2014, Yen was met with a problem. She did not have much meals options and had to resort to the nearest mall during lunch hours to get her daily juice fix. During this time of inconvenience, Yen shared to Terence about her problem and her observation on how many busy office workers, especially the ladies, typically buy either a packet of cut-fruits or some juice during their lunch break as their only means for a healthy supplement to their daily diet. Terence was convinced on the validity of the problem, so much so that he quit his banking job in order to focus on building Press up and running it full-time whilst his wife remained behind the scenes, supporting him on the marketing and business development aspect. 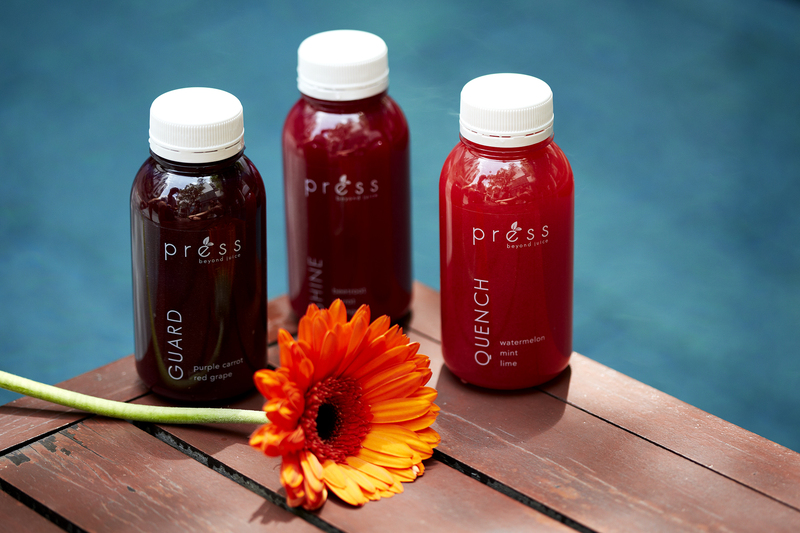 Press provides an array of juice flavours priced between RM10.90 and RM12.90. What makes them stand out from other cold pressed providers is their fuss-free packaging and flavour options which include ingredients like kale, purple carrot and bentong ginger, which are not common produces. They are able to provide such flavour offerings thanks to supportive suppliers that are quick in responding to their delivery orders with short lead times, and this helps them to procure these less-ordinary ingredients. The process of creating a juice bottle from scratch starts when the team cleans and prepares each ingredient. “The leafy greens go through a salt water bath and rinse, and other produce go through a thorough wash,” they said. After cleaning, each fruit and vegetable goes through the prepping process, inclusive of peeling and removal of seeds. Next, the extraction happens prior to being bottled up and delivered all within the same day. Each bottle has a shelf life of 48 hours though they can last much longer than that and the team places a ‘best before’ sticker on the bottom of each bottle as well. Besides delivering to offices, Press is also available at Menara Shell in KL Sentral, and M+ Natural Wellness in Bangsar Village 1. Even with such a healthy offering, there are bound to be those who would have their two cents worth of opinions. For instance, some may believe that cold pressed juices are condensed in their sweetness levels and would spike blood sugars upon consumption. The Press team’s comeback is, “That’s the beauty of cold-pressed juices!” With a cold-press machine or masticating juicer, they are able to extract even the juices of leafy green vegetables; hence most of their juices actually contain quite a fair bit of veggies such as celery, spinach, kale, which boost the nutritional value without a high sugar content. Thus far, Press has engaged an estimate of 6000-8000 people and they have even managed to convert some ginger-adverse customers to Snap, their juice which has Bentong ginger as one of its ingredients. In all of this, the Press team finds that the most rewarding aspect is when they have customers comparing their juices to more established brands and stating that they prefer Press’ offerings. “Also, it was flattering, and we were equally flabbergasted at the same time when we received 6 enquiries of franchising in the first 2 weeks of launching Press!” the team said. 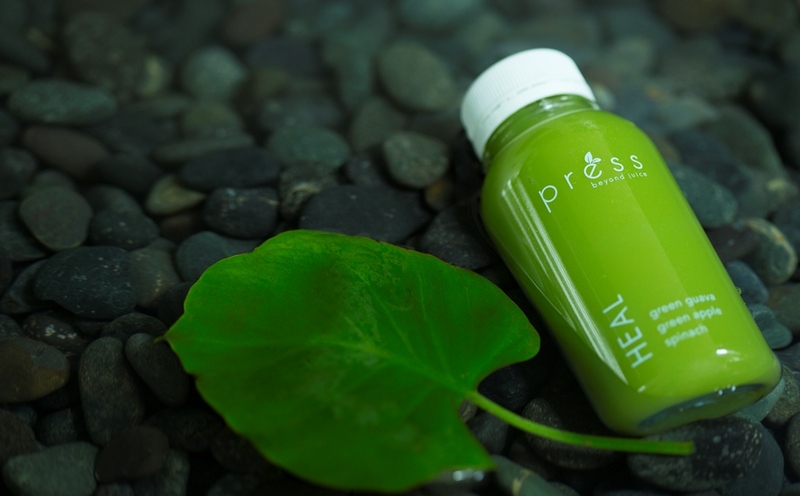 That just goes to show that there is a market and demand for cold pressed juices, and Press is one of the options that Malaysians can look to. 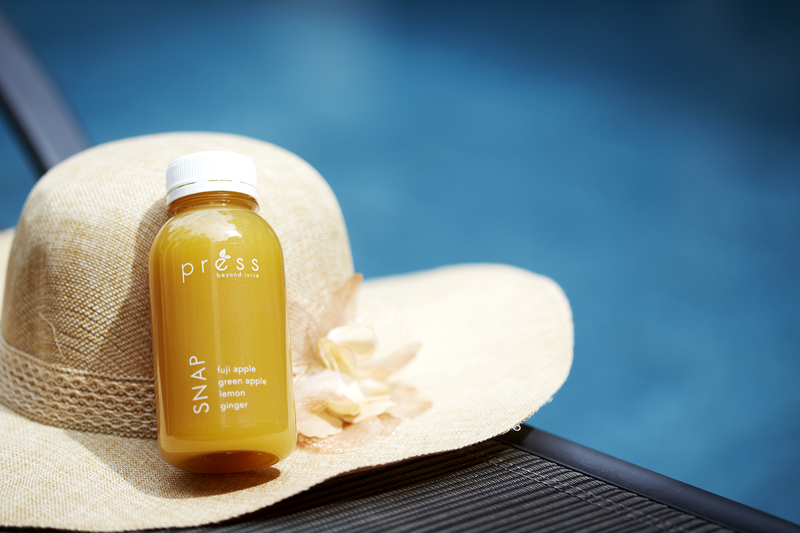 “We wouldn’t necessarily say we plan to stand out, but we think that the market is large enough for more cold-pressed juice brands to come on board and cater to their own target audiences,” the Press team added. Press is offering Vulcan Post readers a value-added treat with an e-coupon for an FOC bottle of juice deal when you make a purchase from their website. Use the code vulcanpost at the check out point. This offer is valid until the 31st of December 2016.